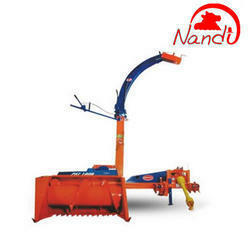 We have Wide Range of Forage Harvesters Suitbable for different Applications. 4. Drum Mover is suitable for Barseem, Alfa Alfa and other low lying crops. 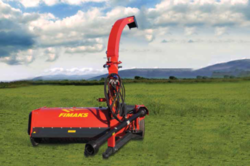 We are providing a qualitative range of Row Independent Forage Harvester. 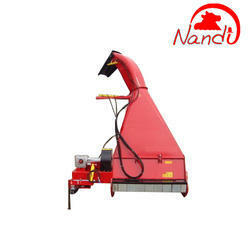 This is a suitable machine for harvest crops such as maize, sorghum, Napier and other crops. It is called Row Independent Harvester since it harvests crops irrespective of the Sowing Distance between 2 crops. It helps to harvest Maize Crop for Silage Purpose. It has maize cracking system to help prepare best quality silage. This machine is Useful for Maize Silage Contractors, and also farmers benefit with timely clearing of their maize fields with very good price. 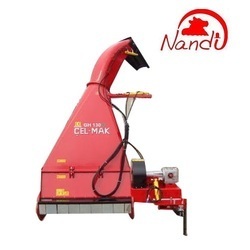 Nandi Celikel Forage Harvester is the suitable machine for Harvest crops such as maize, sorghum, Napier and other crops. 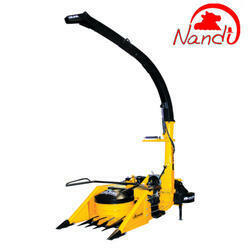 The inputs used in the designing of this offered harvesters are of top-notch quality. More to this, this is also called row independent harvester and these harvests crops irrespective of the sowing Distance between 2 crops. Our offered products can be availed from us in the varied specification. Apart from this, these offered products are suitable for the machine of harvest crops such as maize, sorghum, Napier and other crops. It is called Row Independent Harvester since it harvests crops irrespective of the Sowing Distance between 2 crops. Investment in this machine is more suitable for Large Dairy Farmers, Co-operatives, Commercial Dairy Farmers. 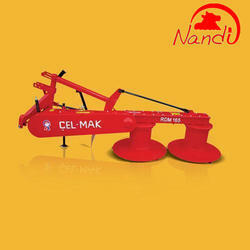 Nandi Single Row Forage Harvester is the ideal machine for large farms to harvest fodder crops for the cattle farm. This machine is useful for systematic single row operation mainly for fodder crops including maize, sunflower, sorghum, millet. 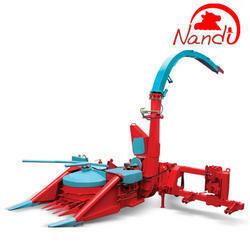 Nandi Flail Mower Forage Harvester can harvest Thin Stem Maize, Sorghum, Millet, Alfa alfa, Forage Grass suitable for daily feeding requirement of Cattle. It requires less maintenance and suitable for Indian Working Conditions. Drum Mower Machine is used to harvesting Alfa Alfa, Barseem, Forage Grass and all other low growth Fodder Crops. It cuts the fodder crop and leaves it on the ground in Single Line. The Harvested crop could be Dryed In the Sun and Collected Using a Baler Machine. It requires less maintenance and suitable for Indian Working Conditions. 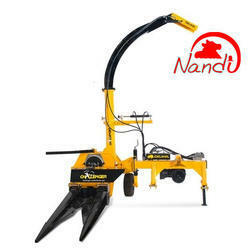 Owing to the knowledge of this domain, we are offering to our patrons a broad spectrum of Nandi Flail Type Forage Harvester. These products are highly acclaimed in the market due to lightweight, high strength, and perfect dimensions. Apart from this, these are suitable for daily feeding requirement of Cattle. 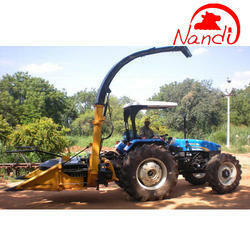 We offer an excellent range of Forage Harvester to the clients. This is an additional attachment to Custom 950 II model Forage Harvesters. Double Chop Forage Harvester is used for harvesting every kind of green fodder and grass in order to make silage. The rotor which has 32 floating knives picks the grass and deliver to the auger that feeds the flywheel. The flywheel cuts the grass for the second time that results in much shorter chopping length considering the standard forage harvesters. This flywheel also blows the chopped pieces through the chute in order to load them into the trailer. Hydraulic control for chute and deflector direction. Durable and specially designed knives. Fast maintenance and repair due to easy to open flywheel cover. Looking for Forage Harvester ?